Paleo Desserts | What’s the Paleo Diet? Posted July 31, 2013 & filed under Paleo Now. Everybody asks me this question. What foods are in the Paleo Diet? That’s easy. Foods on the left are IN the Paleo Diet. Foods on the right are NOT. Called the Primal diet, Caveman, Stone Age, or Hunter-gatherer diet, the Paleo diet includes fresh vegetables, roots, nuts, tart fruits,wild fish, free-range poultry, grass-fed meats, olive and coconut oils. It excludes all processed and refined foods, sugars, sweet fruits, grains, beans, GMO foods, seed oils, and dairy products. The modern Paleo diet is part of a whole food lifestyle with exercise, and it has many interpretations. The Paleo diet is compatible to many other alternative diets, such as Gluten-free/Celiac, Low-carb, and CrossFit diets. It is similar in many ways to the Zone and Atkins diet. Recently, the Paleo diet has surged in popularity, perhaps as a reaction to refined food and the modern diseases that go along with it. We can look for inspiration to our ancestors, who were were physically strong, fit, and active. They had to walk many miles to gather food, migrate to distant areas, and outrun wild animals. Just two hundred years ago, Lewis and Clark crossed the Pacific Northwest wilderness on foot with a company of soldiers, walking as far as 50 to 75 miles per day. Do you know anyone who could do that today? The Paleo diet was first brought into the spotlight by Dr. Loren Cordain, one of the world’s leading experts on the Paleolithic diet, and author of the best-selling book The Paleo Diet: Lose Weight and Get Healthy by Eating the Food You Were Designed to Eat. Dr. Cordain researched the evolution of human diet and the links between modern diets and disease. What did our ancestors really eat? Dr. Cordain studied human diets during the Paleolithic period spanning 2.5 million years, gleaning evidence from microscopic scratches and wear patterns on teeth. According to Dr. Cordain, our ancestors were omnivores, eating a hunt-and-gather diet of fresh wild fruits, vegetables, and animals, depending upon the climate in which they lived. The major difference between their diet and our modern diet is the development of agriculture about ten thousand years ago, which brought us grains and legumes (beans). More recent changes to grain cultivation and processing methods came around 120 years ago with the advent of refined flour. In the last sixty years, industrial farming techniques, pesticides, preservatives, chemicals, and longer shelf lives have brought major changes to our tables. The Paleo Diet attempts to return to the fresh living foods that humans were genetically designed to eat. What’s INCLUDED in the Paleo Diet? The Paleolithic diet and lifestyle is based on eating hunter/gatherer foods for optimal health. Basically Paleo foods contain 100% whole ingredients that you could find in the wild before the time of agriculture or domesticated animals. Paleo foods are as close to their original state as possible. Remember, there is much we don’t know about actual Paleolithic lifestyles. So there are many modern interpretations of it. Fruits – especially tart fruits, such as lemons, limes, grapefruit, tart apples and berries. 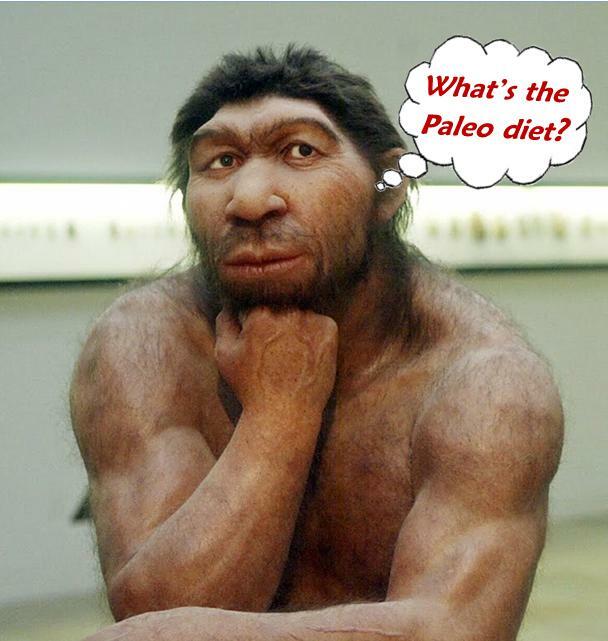 What is EXCLUDED from the Paleo Diet? Paleo foods contain no refined or processed ingredients, no gluten, grains, dairy, or sugars. It excludes agricultural ingredients and any foods that did not exist during Paleolithic times. Processed and refined foods, such as: Alcoholic beverages, Soft drinks, Artificial sweeteners, Potato chips, Bread, etc. Sweet fruits, such as bananas, mangoes, pineapples, grapes, mulberries, etc. Legumes, beans: Kidney beans, Pinto beans, Soy, Tofu, Soy milk, etc. The Paleo Diet is highly beneficial as it eliminates many of the common allergens and problem foods in our diet. When we remove refined and inflammatory foods from our diet, we reduce the risk of chronic diseases such as diabetes, arthritis, obesity, heart disease, and cancer. Most people on the Paleo Diet report that they lose weight and experience higher energy levels. They feel younger and enjoy life more fully. If you’re in good health and want to keep it that way, take a nod from your ancestors. The high quality, nutrient-dense foods in the Paleo Diet – plus no refined ingredients – can help maintain and increase your vitality.